The San Francisco office has been part of HOK’s United States network since 1966. AIA California honored HOK with 2019 Firm Award. ENR California named HOK its Design Firm of the Year. US Green Building Council (USGBC) “Organizational Excellence” Award. US Green Building Council (USGBC) “Natural Leader” Award. Certified as a San Francisco Green Business. Designer of 535 Mission Street tower. Follow the San Francisco studio on Instagram. Follow HOK’s San Francisco studio on Instagram. 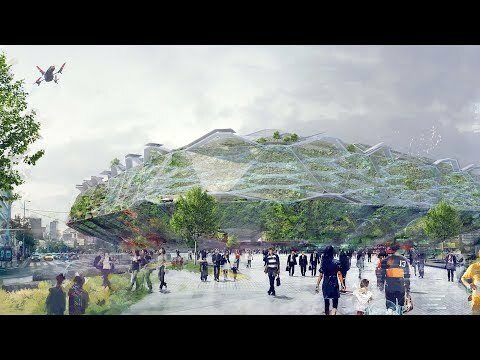 HOK and Snøhetta are collaborating on the design of a new MLB ballpark for the Oakland A’s. HOK’s master plan restores and revitalizes Ghirardelli Square, one of San Francisco’s most enduring and beloved public spaces. Our team designed the Mule Creek Infill Complex, which includes 23 medium-security buildings in Ione, California, to provide a secure but therapeutic environment. HOK designed the Stanford Children’s Health Specialty Services Center in Sunnyvale, California, to provide patients with easy access to the highest quality of care. Senior Vice President and Senior Project Manager Mark Otsea has led some of the San Francisco office’s most complex projects. Spurs Sports & Entertainment recently revealed design details of the $100+ million renovations to the AT&T Center in San Antonio, Texas. HOK’s design of the San Jose Earthquakes’ MLS stadium emphasizes the fan experience by creating an intimate atmosphere that brings spectators close to the action. Health Facilities Management’s cover story describes lessons learned from international hospital projects, including several examples by HOK’s Bill Roger.